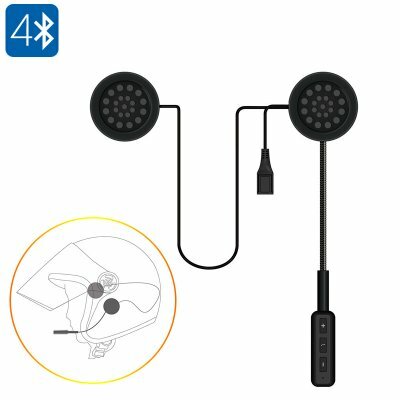 Successfully Added Bluetooth Motorcycle Headset - Bluetooth 4.0, Build-in Mic, Hands Free Calls, Music, 10M Bluetooth Range, 150mAh Battery to your Shopping Cart. Always stay connected while on the go with this amazing motorcycle headset. Fitting nearly all helmets out there, this headset is the ultimate electronic gadget that keeps you in touch with friends and family while enjoying your upcoming bike trips. Thanks to its powerful 150mAh battery, this motorcycle accessory features a 60 hour standby time and 8 hours of continuous talk time. With all this power at hand, this motorcycle headset will keep you connected no matter how long your upcoming road trips will last. Thanks to its Bluetooth 4.0 connectivity, this helmet headset allows itself to be easily paired with your smartphone. Featuring a built-in microphone, it allows you to engage in hands-free calls at any time – immensely increasing your safety on the road. Additionally, it can also be synchronized with your smartphone’s music library – letting you enjoy all your favorite songs on the go and allowing you to take the absolute most out of all your upcoming road trips. Supporting a 10m Bluetooth range, you’ll be able to keep your smartphone safely in your bag while enjoying your music and making hands-free calls throughout the trip. 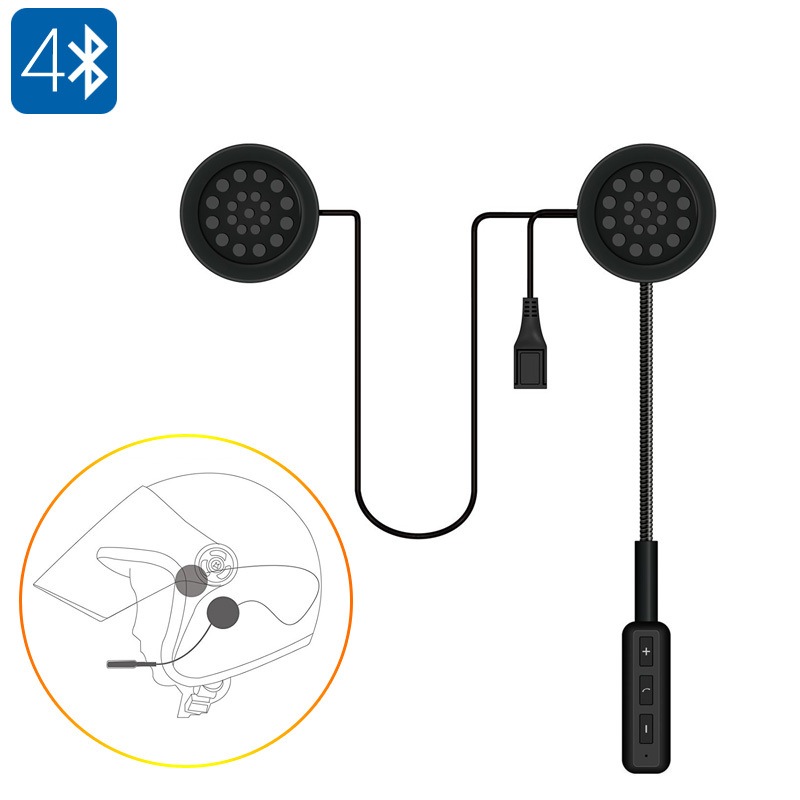 Whether you like to enjoy your favorite songs on the go or are searching for a safe way to stay connected to friends and family while riding your bike – this motorcycle headset offers the perfect solution. Compatible with the vast majority of smartphones out there, this Bluetooth helmet headset is the ultimate biker gadget for anybody out there.